Ohio is the 25th state to adopt a medical marijuana law. This law takes effect on Sept. 8. Proactively addressing potential concerns and questions about the law, the Allen County Health Department answered the following questions:Who will administer this program? What does this law allow? This law will allow patients with certain health conditions to purchase and use marijuana in the following forms: oils, tinctures, plant material, edibles and patches. It may also be used in a vapor form, but it cannot be smoked. Patients are not permitted to grow it. The medical cannabis used by patients must be cultivated and processed in Ohio. What happens under this law that makes medical marijuana legal? Currently, in the United States and in Ohio, marijuana is considered a Schedule I substance, meaning that it is unsafe, has no accepted medicinal use and has a high potential for abuse. When the law takes effect, marijuana will be considered a Schedule II substance in Ohio, meaning that while there is potential for abuse, it does have medicinal value. Can any physician prescribe medical marijuana? Physicians must apply to the Commission and be registered before they are able to prescribe marijuana to patients. Physicians must complete the application process and demonstrate that they do not have ownership or investment interest in, or are in agreement with a cultivator, processor, laboratory or retail dispensary licensed by the Commission. A qualifying physician may recommend marijuana treatment if the patient has one of approximately 20 qualifying medical conditions and a physician-patient relationship has been established. • The number of patients they have recommended to receive treatment with medical marijuana. • The conditions for which the treatment has been recommended. • Reasons why other treatments were not recommended. • Forms or methods of medical marijuana that were used. How are patients identified who are permitted to possess and use medical marijuana? A patient wishing to use medical marijuana, or a caregiver seeking to assist in its use, must apply to the Commission to be registered. Applicants that are approved will be issued an identification card. Individuals who register as a caregiver are not permitted to use medical marijuana, only assist a registered user. A registered patient is not authorized to operate a motor vehicle while under the influence of the substance. Who can grow, process or sell marijuana for medical use? 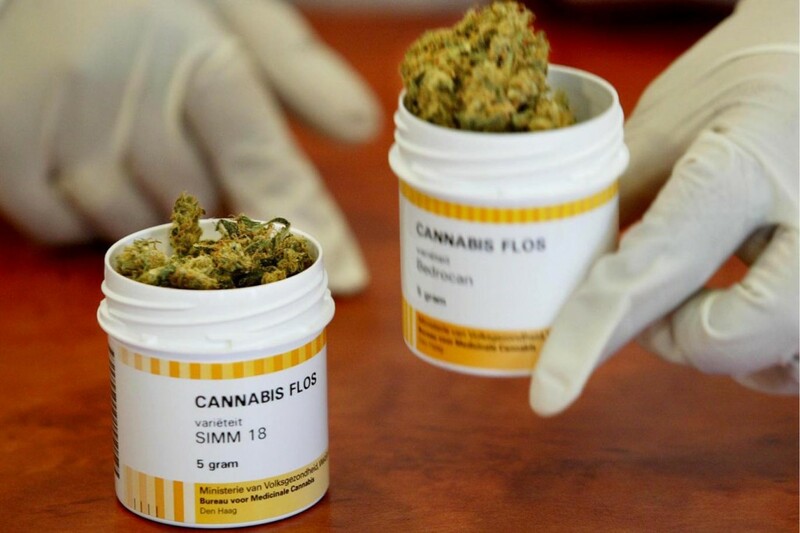 Only licensed entities will be permitted to cultivate, process or dispense medical marijuana. The licensee cannot be located within 1,000 feet of a school, church, library, public playground or public park. Municipalities and townships may adopt an ordinance or a resolution to prohibit or limit the number of dispensaries within their jurisdiction. In addition, the applicants must pass a background check. The Commission may suspend or revoke a license or impose a civil penalty against their licensees. Entities cannot advertise on a radio or television. Who will recommend the rules for medical marijuana under this law? A Medical Marijuana Advisory Committee will be created and will assist in developing regulations and making recommendations. Members will represent a variety of populations including employers, law enforcement, patients, and agriculture. Who will regulate the program? • Require an employer to permit an employee’s use, possession or distribution of this drug. • Prohibit an employer from refusing to hire, discharge or discipline an employee becauseof that person’s use, possession, or distribution of medical marijuana. • Prohibit an employer from establishing or enforcing a current drug testing policy, drug-free workplace policy or zero-tolerance policy. Under this bill, an employee who is discharged from employment because of the use of medical marijuana is considered to have been discharged for a just cause. In addition, employees who obtained an injury on the job and the influence of marijuana was thought to be the cause of the injury are ineligible for Worker’s Compensation Benefits. Information obtained from Ohio Legislative Service Commission, Sub. H.B. 523 Bill Analysis August, 2016.